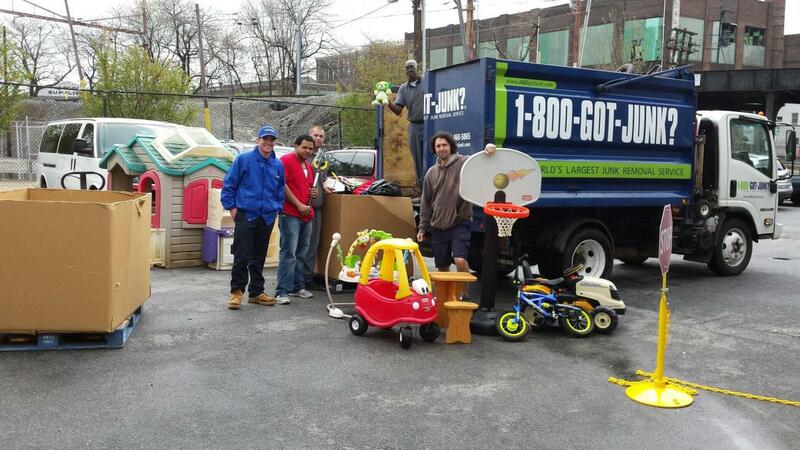 This Earth Week, Second Chance Toys teamed up with 1-800-GOT-JUNK? at 11 different locations from Washington DC to Boston! Together we collected over 1,500 gently used plastic toys that were delivered to deserving children in the same communities they were collected. 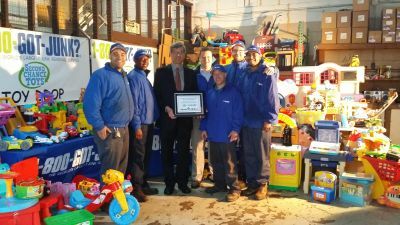 We weren’t the only ones impressed by Got Junk and their supportive communities, Mayor DeLuca of Maplewood, NJ stopped by to show his support too! Thank you 1-800-GOT-JUNK? We look forward to keeping plastic toys out of the landfills and delivering smiles to children together again in the future! 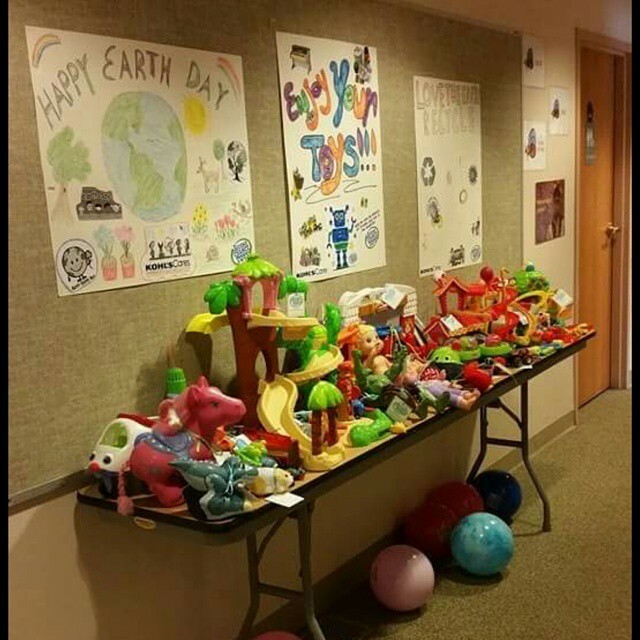 This Earth Week, associates from Booz Allen Hamilton in Mclean, VA collected beautiful gently used plastic toys with Second Chance Toys. 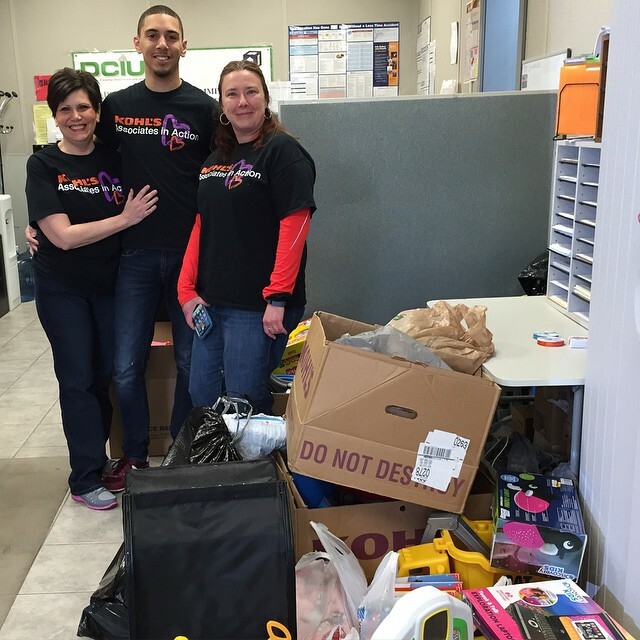 The Booz Allen associates held a cleaning and tagging event after the toys were gathered to make sure they were in perfect condition for their new owners. With the help of our friends at 1-800-GOT-JUNK? Washington DC, all of the toys were delivered to two different local recipient organizations serving kids in need. A BIG thank you to everyone who helped with this initiative! Your efforts put smiles on the faces of many deserving children, all while helping the environment at the same time. Together with Kohl's Cares, the volunteer and community service arm of Kohl's Department Stores, we saved 3,000 toys from the landfills this weekend! This year, for our National Go Green Event with Kohl's Cares on April 25, we did something different. We coordinated 32 events across 5 states with more than 350 Kohl's employees volunteering their time and donating toys to organizations that directly benefit children. Those organizations included many Head Start locations, women's shelters, and low-income/free daycare programs. While on-site, the volunteers brought in and tagged their toy donations, cleaned toys that the organizations already had, organized toys by ages, removed broken toys from shelves, cleaned off toy storage areas, and they even built a new toy shelf at one location! Overall, the day was a huge success. We want to thank the wonderful organizations we worked with, and especially the volunteers from Kohl's who donated toys and their time for this incredible event! We're sharing some of the photos from the day here. We've rounded up all of the photos and social media posts on our website. Take a look! Students at Evergreen School in Scotch Plains, NJ helped clean and tag the more than 400 toys that were dropped off within one hour at their Earth Week collection. Toys were immediately delivered to organizations serving children in need in Passaic and Newark, compliments of 1-800-Got-Junk?. Unsubscribe from: Blog item: Evergreen Does it Again! 1. Plant a tree. Now that warmer weather is on its way, April is a great time to get outside and plant a tree that your yard, park, or community needs. Some of the benefits of trees include reducing pollution and improving air quality, fighting climate change by reducing surface temperatures in hot months, providing shelter and food for wildlife, plus trees are fun to watch grow over the years! 2. Take a walk instead of a car ride. Show kids that there are ways to get places without involving a motor that produces pollution. Double benefit--it's good for you, too! 3. Start composting. Many of the things we throw out every day could actually be composted. Things like apple cores, coffee grounds, and egg shells can be composted instead of taking up space in a landfill. At-home composting can be done easily, and larger cities including New York City even have compost drop-off areas. 4. Unplug. Take a break from the electicity-guzzling television, phones, and computers and enjoy a day outside with your kids! We come to depend on these devices, but it's important to take time and just enjoy your children. Play a game of soccer, roll down a hill, do a potato-sack race, do some hopscotch, or lay down in the grass and name the shapes of the clouds! 5. Donate unused toys. Recycling and reducing can be easier to explain to kids, but reusing is a little trickier. A great way to do that is to go through old toys and donate any toys that haven't been played with in over six months. And by donating those toys to children in need, your kids will also learn how it feels to do good for others. It's no coincidence that one of our two donation times is during Earth Month (April). Visit our drop-off location page to see if there's a place locally where you can drop-off toys. If there isn't, consider holding a toy collection next Earth Day! If you can't get around to any of these tips today, maybe tomorrow works better. 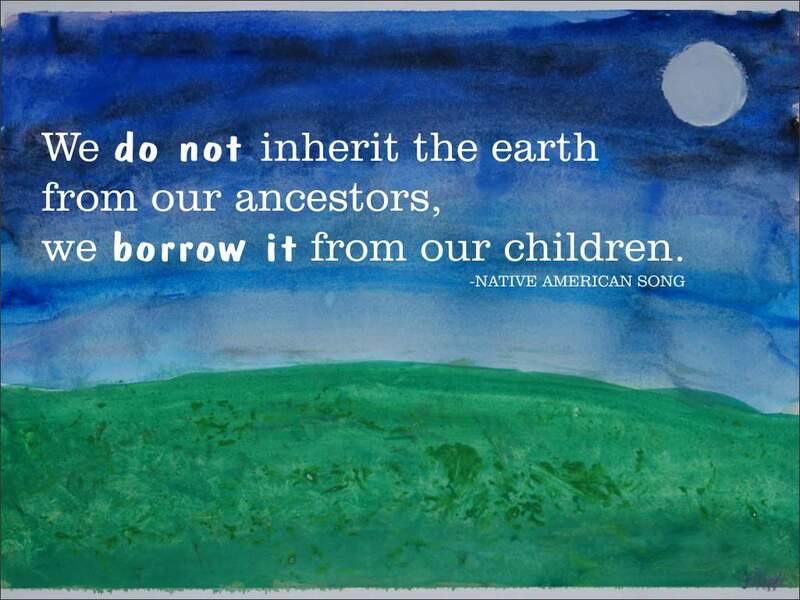 Or better yet, make EVERY DAY Earth Day! Unsubscribe from: Blog item: Happy Earth Day! Check out the full blog article here! Our valued supporters at Kidville will be partnering with us once again to help kids and the environment! The Kidville Spring 2015 collection locations in the NY metropolitan area can now be found in the Drop-Off Locations section of our website. Finish up your spring cleaning by bringing your gently used plastic toys to a Kidville location near you May 6th-May 13th. Thanks for your support, we couldn't do it without you. Want to be Good and Green this Earth Week? It’s easy and convenient! Second Chance Toys is teaming up with 1-800-GOT-JUNK? this April to collect unwanted gently used plastic toys for children in need. Toys will be collected at 11 locations from Washigton DC to Boston. All toys will be donated to deserving children in and around the very same communities they were collected. 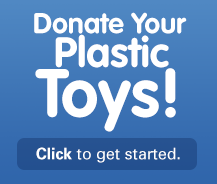 To participate, simply gather all of the plastic toys your children are no longer using and find a location near you by clicking here. 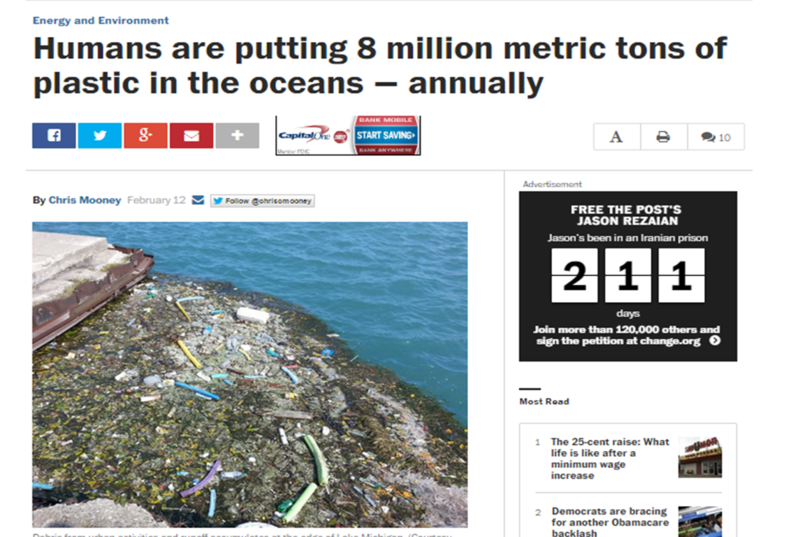 Thank you for helping kids and the environment! It's time to combine two traditions of Spring: Earth Week and Spring cleaning! It's a great time to go through old toys and reevaluate what you need. And that's what your neighbors will be doing too. Why not hold an Earth Week toy collection to save some of the unwanted toys from ending up in a landfill? 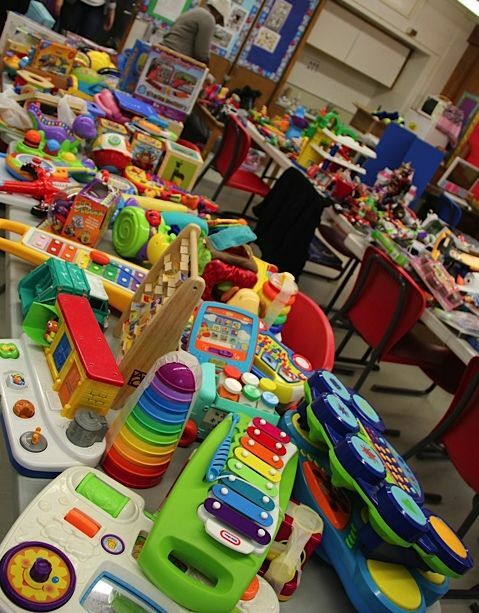 Toy collections can happen with as few as 50 gently used plastic toys. Thanks to our volunteers' incredible efforts, Second Chance Toys has now placed over 200,000 toys at organizations serving disadvantaged children all across the country. As Second Chance Toys continues to grow, so does the number of toys requested. We currently have 520 recipient organizations who've submitted requests for toys totaling more than 250,000. Please help us make their wishes and dreams possible. Every single toy counts! All that you need to know about holding a toy drive can be found in the email below. Know someone who might want to hold a collection this year? Forward this email to them! Registration for the Second Chance Toys Earth Week Toy Collection is now open. Click here to sign up.Take a look at our Getting Started Kit to see how simple it is to host a collection. We’ll provide you with all of the resources you need to make your collection fun and successful. Once you’ve collected at least 50 gently used plastic toys, we will match you directly with a recipient organization serving underprivileged children in your community so you’re able to deliver them. Feeling extra motivated? Make your collection public by opening it up to the community so they can drop their toys off and you’ll make an even bigger impact. You can post your public collection details in the Drop-Off Locations section of our website when we provide you with your own personal collector account. If you don’t have the 50 toy minimum and are located in one of our major metro markets, visit our website to find a drop-off location that is near your home. Drop-off locations are updated regularly during our collection periods so don’t give up if there isn’t one close to home right away. You can also help us spread the word to create a groundswell of support by encouraging others to visitwww.secondchancetoys.org, or you can make a monetary donation to help us do even more good. Make A Real Difference…..Get Involved Today! Like many other Second Chance Toys’ volunteers, Abby Schmidt had a few too many plastic toys at home. With the holidays quickly approaching, she knew she should donate some toys that her son had grown too old for, to make way for new toys that were sure to come at Christmas. And although she works across the street from a thrift store, the idea of donating her toys just for them to be resold didn’t sit well with her. 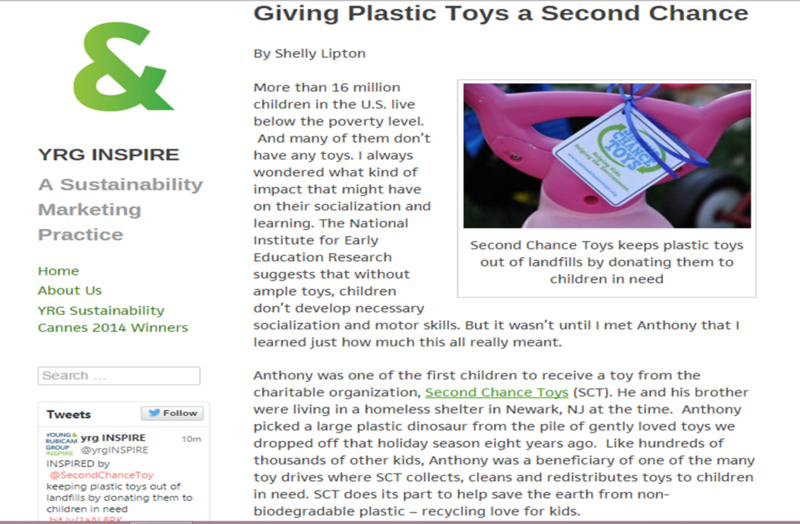 She googled “toy donation” and “recycle used toys” and came across Second Chance Toys. There were no drop off locations near her, so she decided to go for it and hold a collection of her own at her family’s sign business in Berlin, New Jersey. She put the word out on Facebook, placed a sign in the shop, and had her toy drive listed on the Second Chance Toys website. She was amazed when people just began stopping in to drop off toys. Many of them were first-time visitors to the shop. “People seemed happy to be able to donate their used toys, rather than selling them at a yard sale or some other sale. You could tell it made them feel good. It made me feel good too,” noted Abby. In the end, the people of Berlin collected a truck-full of toys that Abby was able to deliver to a local daycare center for children with special medical needs. When asked if she’d hold another toy drive, Abby enthusiastically said yes. Knowing that the children at the daycare center will be enjoying toys that are basically indistinguishable from their brand-new counterparts makes any effort totally worth it. In fact, they may hold a toy drive in a few months for Earth Day. We hope Abby’s story inspires some of you to try out a toy drive at your business. With not much time invested, you could bring smiles to local children in need. And who knows, maybe you’ll make a new customer or two from it! 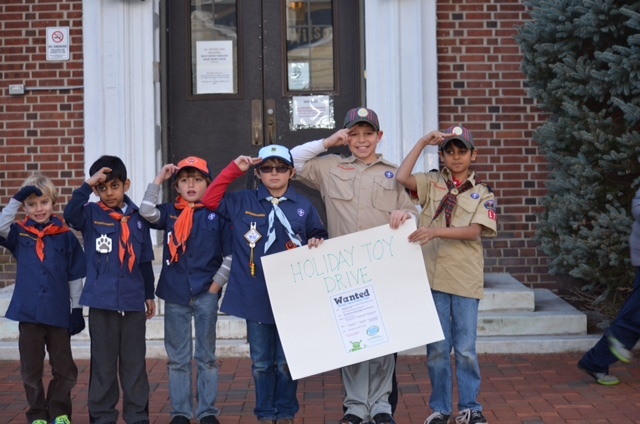 The Westfield Cub Scout Pack 171 and Wilson PTO SCT Toy Collection was a huge success over the holidays! Hundreds of toys were collected by the dedicated volunteers and our friends at 1-800-GOT-JUNK picked up two truck-loads of gently used toys to deliver to some very deserving local kids. Great job everyone! 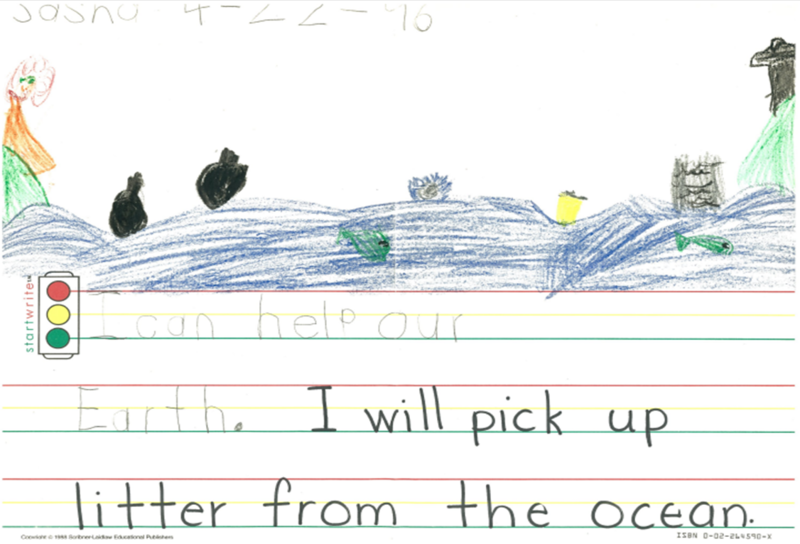 Even as a little girl, our Founder Sasha was promising to help the Earth. Too cute! 21,584 Toys Collected for the Holidays! We're excited to share that this holiday season, 21,584 gently used plastic toys were collected! Because of your help, we have reached a new milestone and exceeded our goal of over 200,000 toys donated to date. 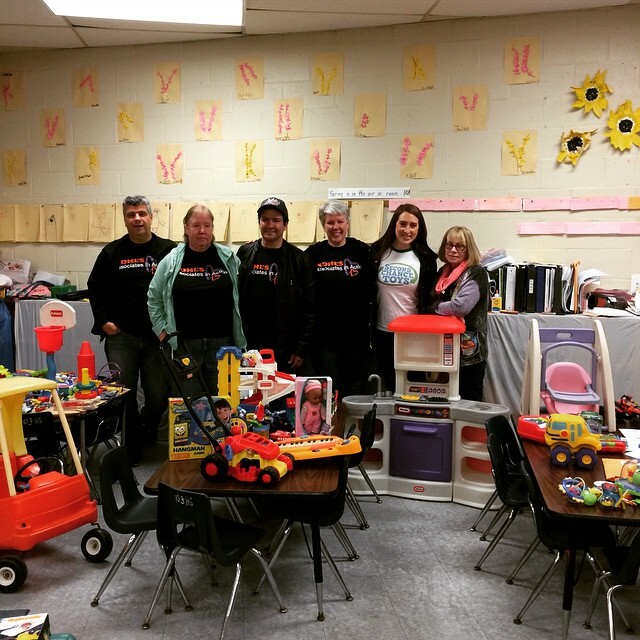 Thank you for being a part of Second Chance Toys! 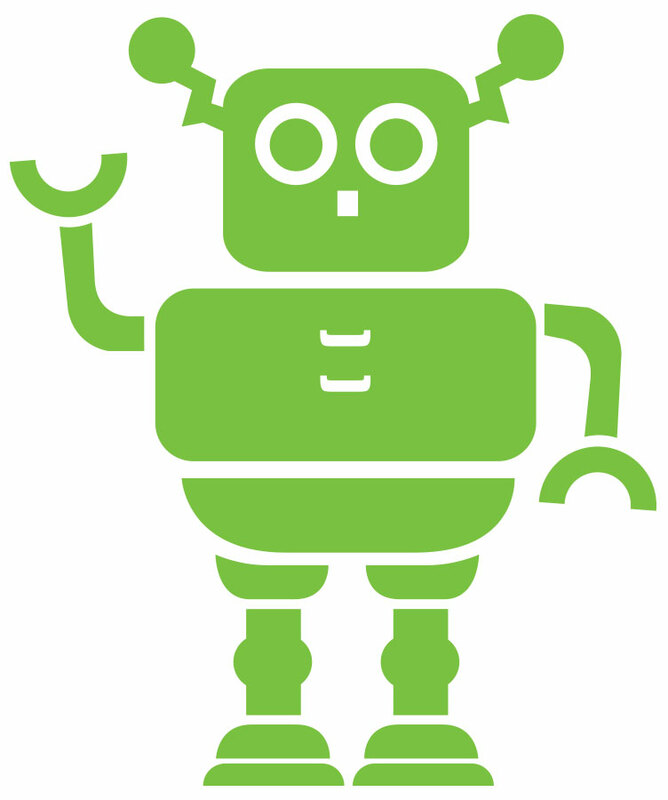 Unsubscribe from: Blog item: 21,584 Toys Collected for the Holidays! The children at P396K school in Brooklyn received hundreds of beautiful gently used plastic toys from their Second Chance Toys holiday donation. All toys delivered to the school were collected by our devoted friends at Kidville and were absolutely perfect. P396K provides special education services to a multicultural, multi-ethnic school community. All staff members work collaboratively in a nurturing environment to ensure that the students make the most growth possible throughout the twelve-month school year. The school has 269 special needs students between the ages 4 and 14 years old. The teachers, staff and students were all so excited to receive the donations. The entire school community will be using the toys to have lots of fun, but more importantly, to help the children with their developmental progress. Take a look at our Drop-Off Locations page—notice anything different? That’s right! Second Chance Toys has expanded our national metro locations. 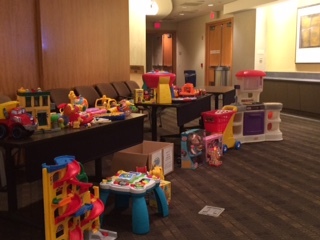 This holiday season, with the help of some amazing new volunteers, SCT held successful public toy collections in both Boston and Washington D.C.
We want to thank Greenovate Boston and the Weinberg Early Childhood Center for volunteering with us this year. The toys were amazing and the recipient children were so thankful to receive their holiday surprises! We hope to have even more volunteers in the Boston and Washington D.C. areas sign up to make their collections open to the public for our Earth Week collection in April! Registration for all Earth Week collections will open March 1st. In a boy's journey to manhood, toys provide laughter, fun and exploration of the world. Building off of the new “Dadsong” ad, Old Spice partnered with Second Chance Toys by bringing attention to the massive quantities of good-as-new children's toys taking up space in garages and attics around the country. 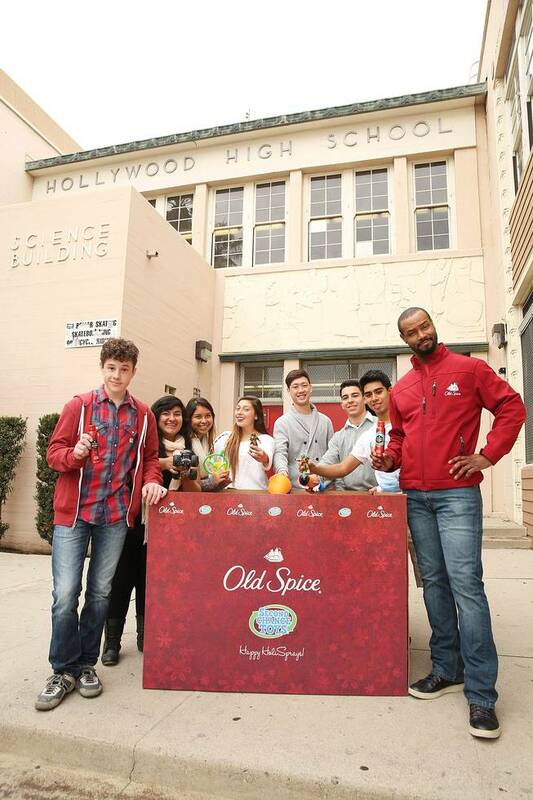 Old Spice worked together with student volunteers at Hollywood High School, along with actor Nolan Gould and Old Spice Guy Isaiah Mustafa, to hold an exciting toy donation event! In addition to the successful event, Old Spice reached out to volunteers in communities all over the country requesting gently used plastic toy donations as part the inaugural HoliSPRAY Toy Donation Exchange. As a reward for all of these grown-up gestures, Old Spice gifted all toy donors with Re-fresh Body Spray. Together, Old Spice, Second Chance Toys, and all of the national HoliSPRAY Toy Ambassadors, were able to collect and donate close to 5,000 toys to children in need this holiday season! Thank you to everyone who participated to help us bring smiles to deserving kids and keep plastic toys out of landfills. 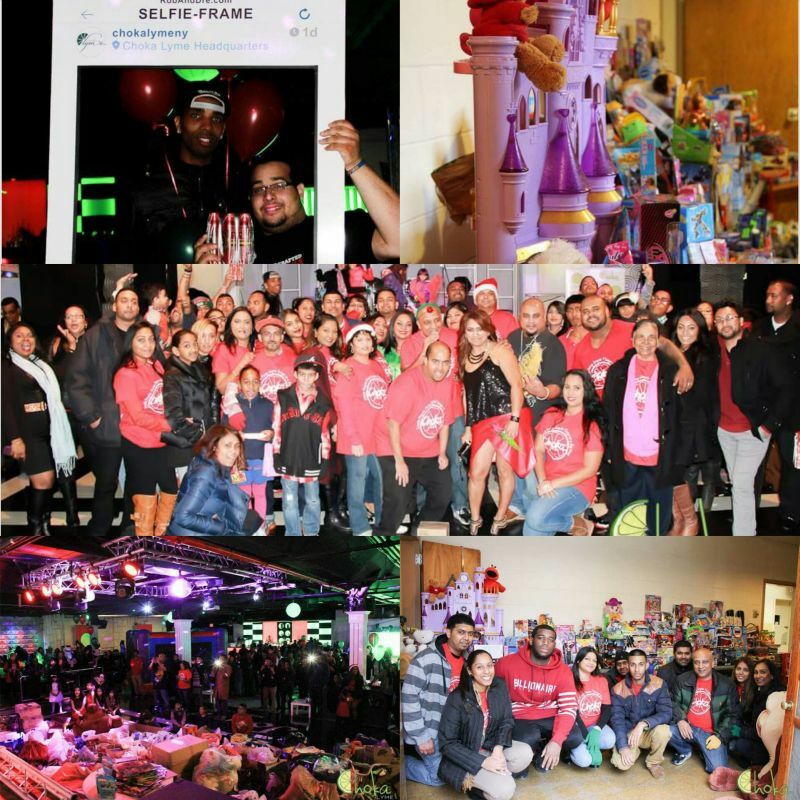 Choka Lyme’s 5th Annual Holiday Toy Collection was a huge success! 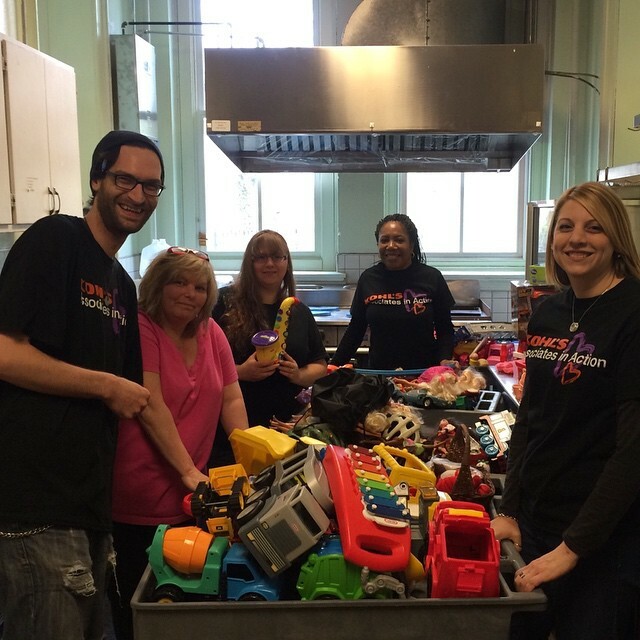 Their volunteers were able to collect 600 gently used plastic toys and donate them to SCO Family of Services in New York. Second Chance Toys would like to thank Choka Lyme and their community of supporters for taking part in this amazing event that is only getting bigger as the years pass. The motto at Choka Lyme is, "Simple people doing simple things in a big way” with their mission being to help people activate their own power to work together and positively transform their communities. Your dedication is truly appreciated, Choka Lyme! Thank you for all you do for Second Chance Toys. 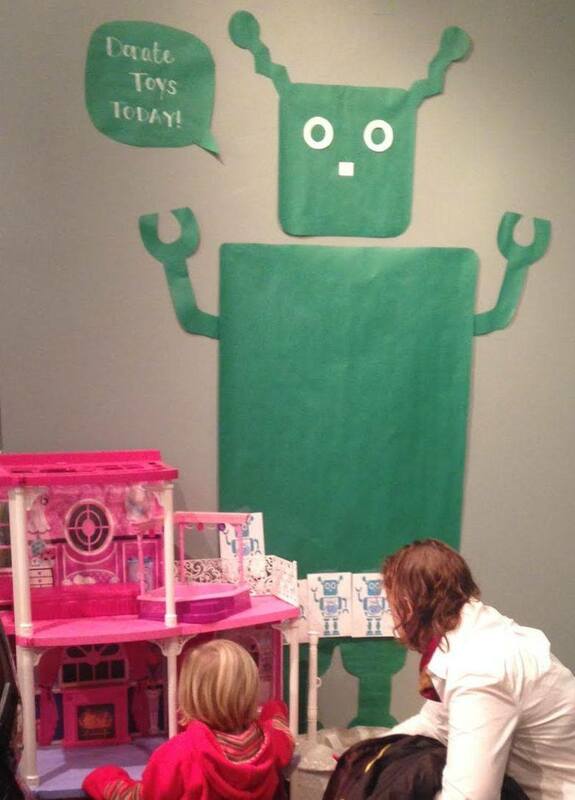 Our amazing friends at Kidville have blown us away once again! The participating NY Metro Kidville locations have collected over 1,500 gently used plastic toys for the holidays. All toys were donated by Kidville constituents as well as many other dedicated members of the surrounding community. Working with Kidville the past three years has been extremely rewarding for everyone involved. Keeping non-biodegradable plastic toys out of landfills and helping thousands of kids who might otherwise go without toys is something we all truly believe in. We look forward to doing even more great things together in 2015. Unsubscribe from: Blog item: Kidville Does It Again!